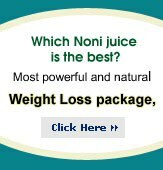 Tahitian Noni® N-Core™ is the ultimate heart-healthy noni beverage. N-Core contains a power-packed combination of noni and other natural ingredients known for their beneficial cardio effects. Just like Tahitian Noni® Juice, N-Core provides 30 mg of iridoids per 60 mL serving - including various vitamins, minerals, and antioxidants that will make you healthier, give you more energy, and help strengthen and balance the whole body. Flavored with black currant and other natural juices, N-Core not only fortifies the heart, it tastes great too.